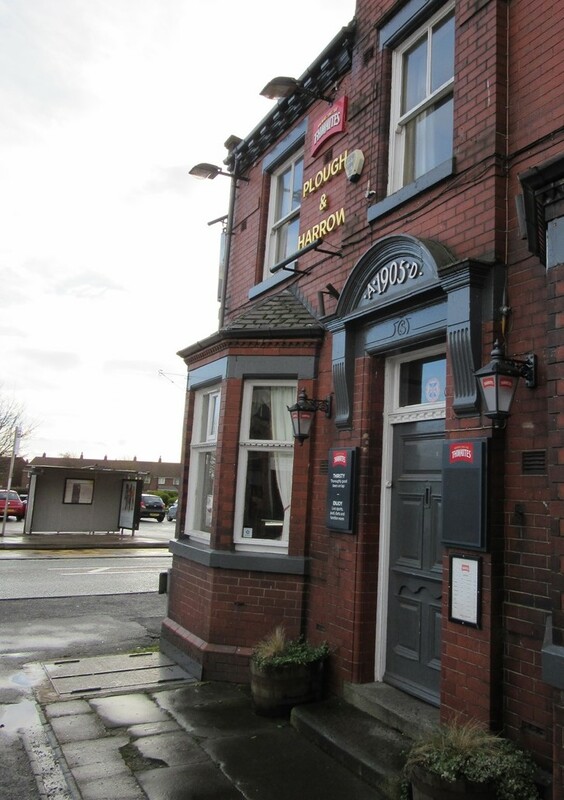 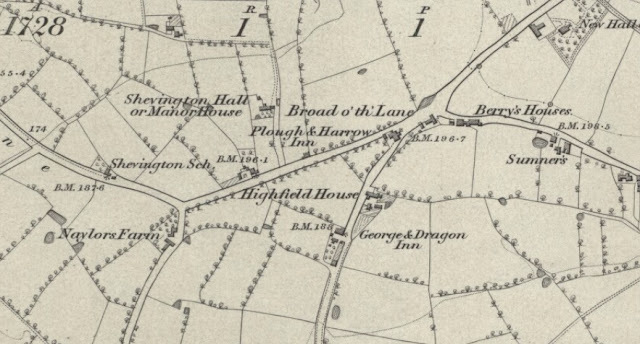 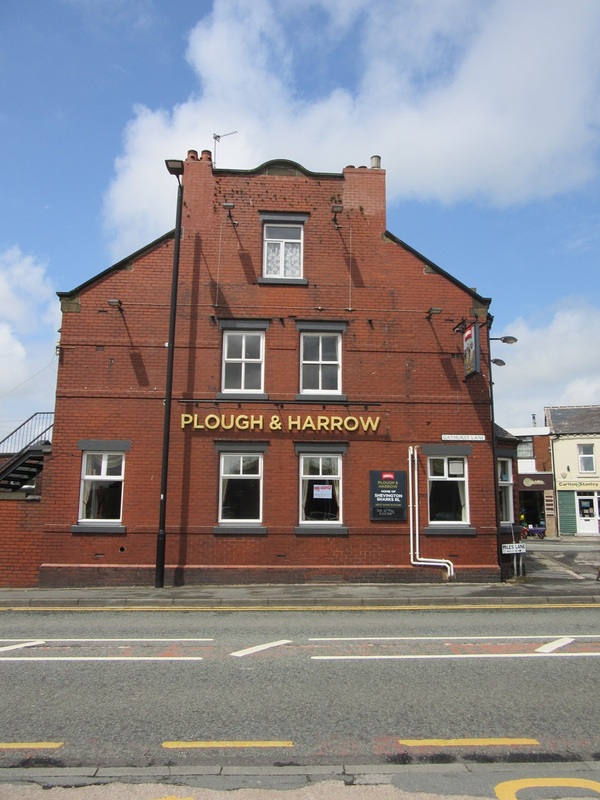 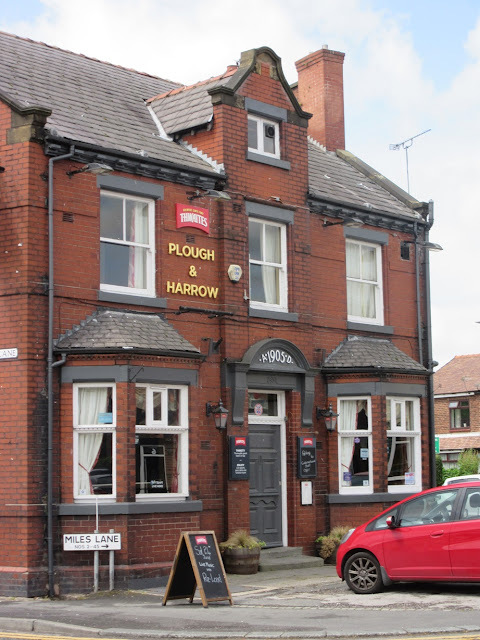 The original Plough & Harrow was built in the early 1800's and whilst it was rebuilt in 1905 it retains pride of place in the centre of the village on the corner of Miles Lane, Broad o'th' Lane and Gathurst Lane. 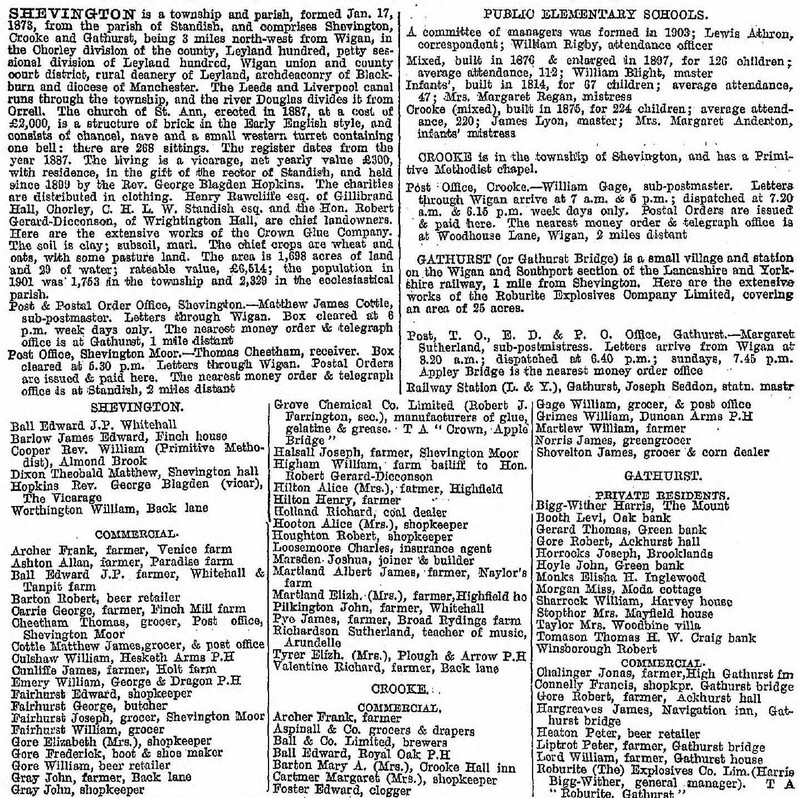 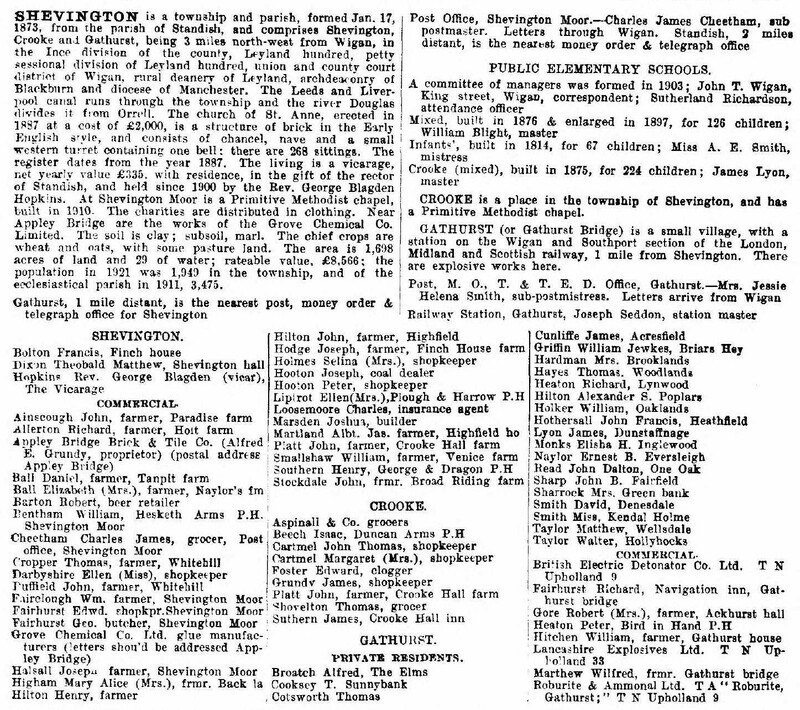 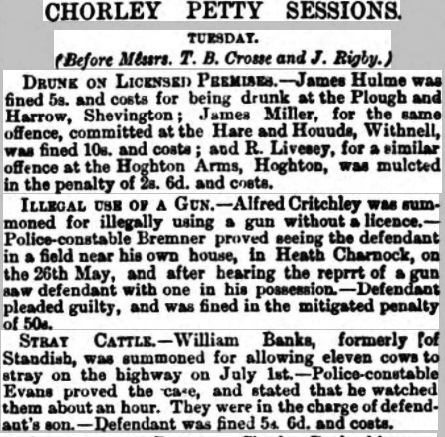 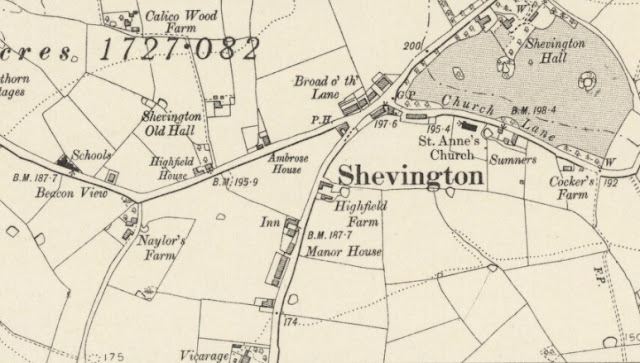 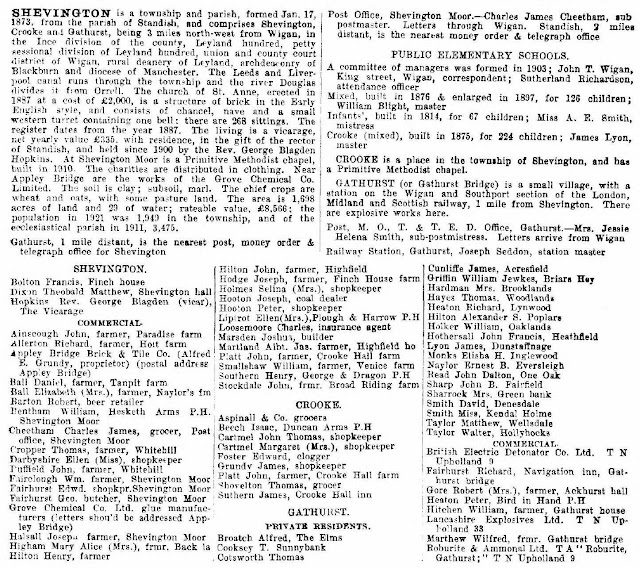 The earliest reference I can find to it is in the 1824 Standish Directory shown below. 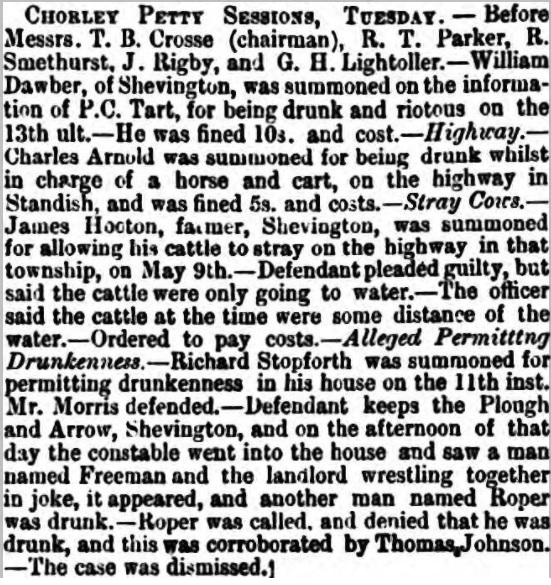 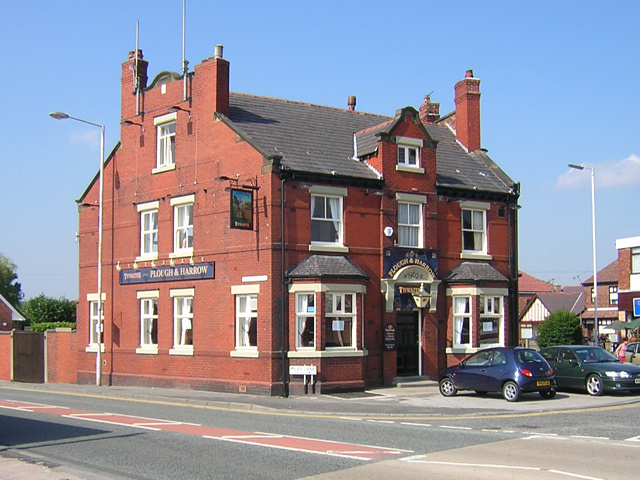 Listed landlords at the Plough were George Smith (1824), James Winstanley (1841), Richard Stopforth (1851-77), John Tyrer (1877-87), Elizabeth Tyrer (1887-1907), William Tyrer (1907-08), William Thomas Liptrot (1908-14) and Ellen Liptrot (1914-24). 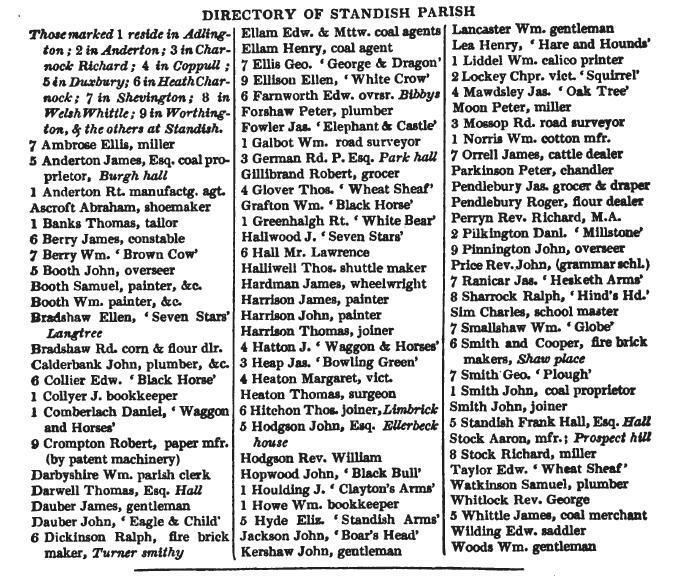 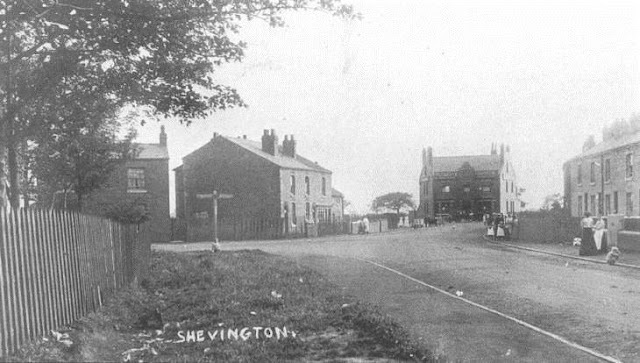 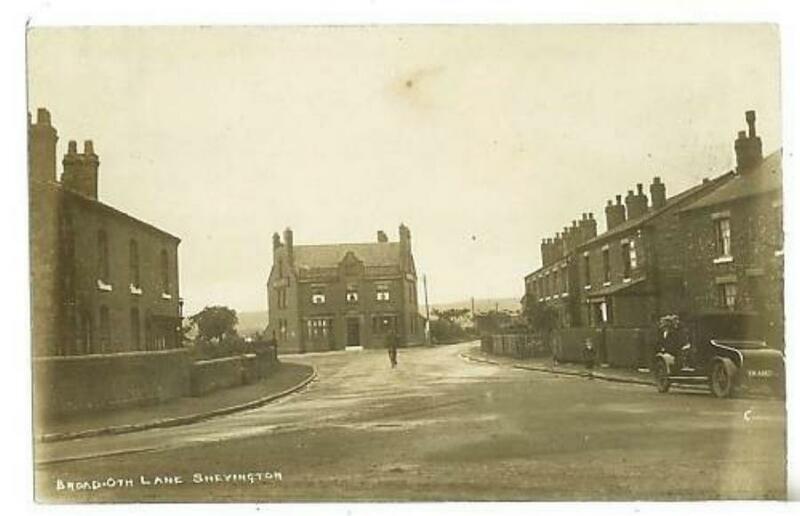 Richard Stopforth was originally from nearby Wrightington and was a farmer before marrying his wife Jane. 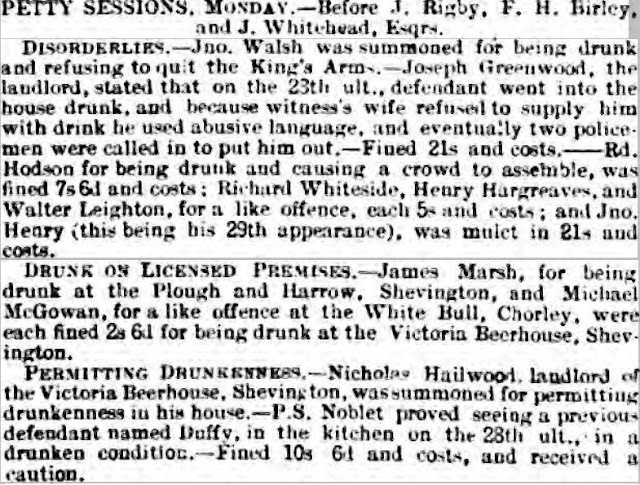 Her father William was a beer seller therefore it should come as no surprise that within three years of marriage they were running a pub together. 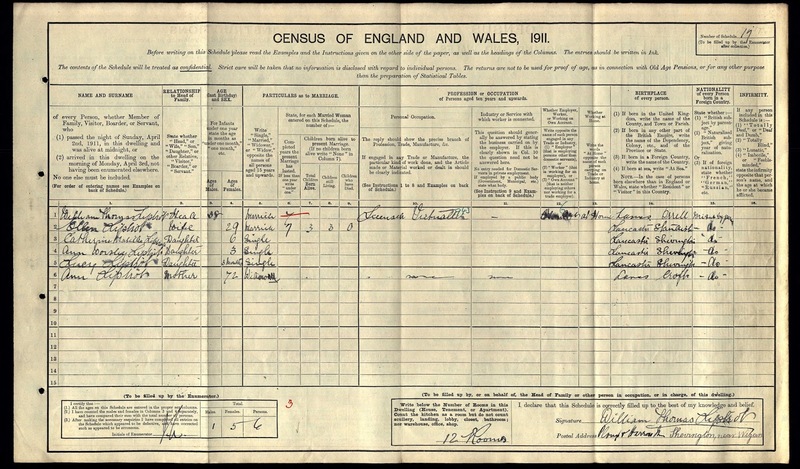 Interestingly, Richard had renamed the pub the "Farmer's Arms" but by the time of the next census in 1861 it had reverted to the Plough and Harrow. 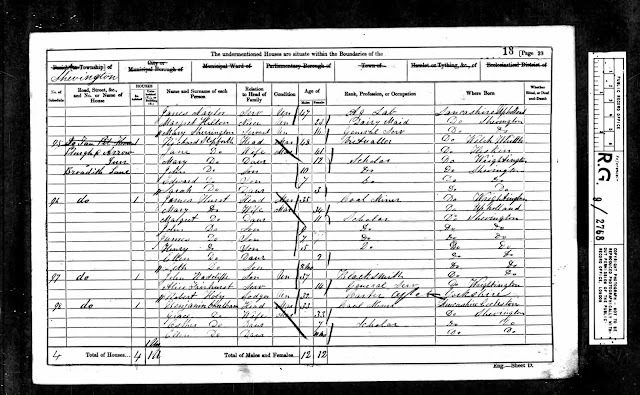 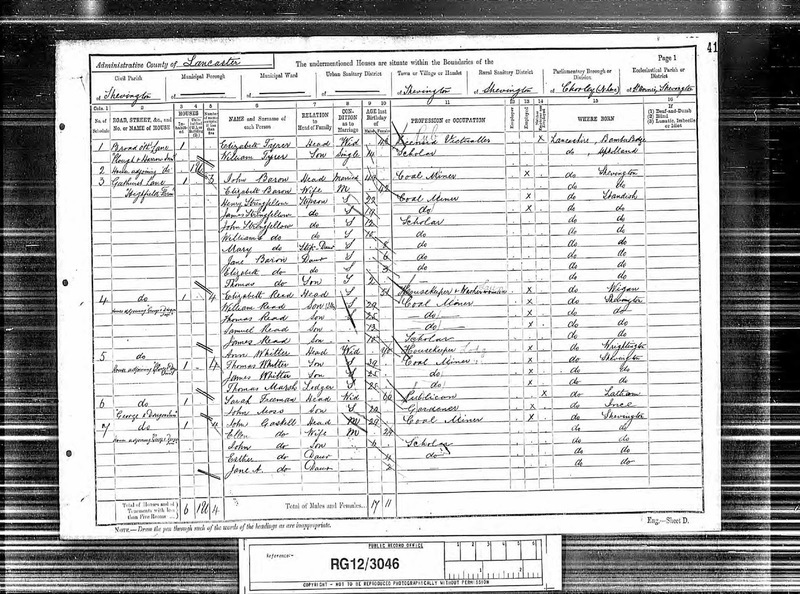 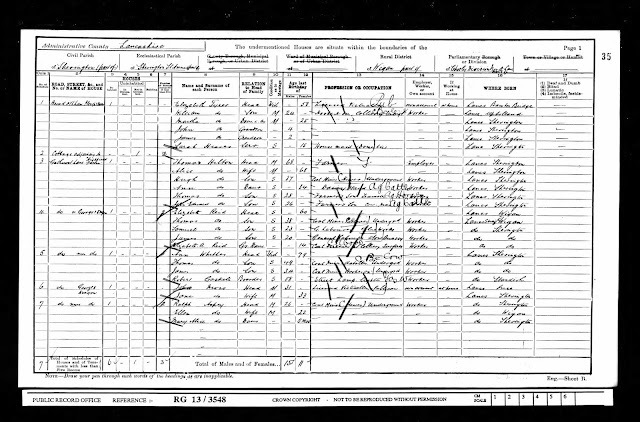 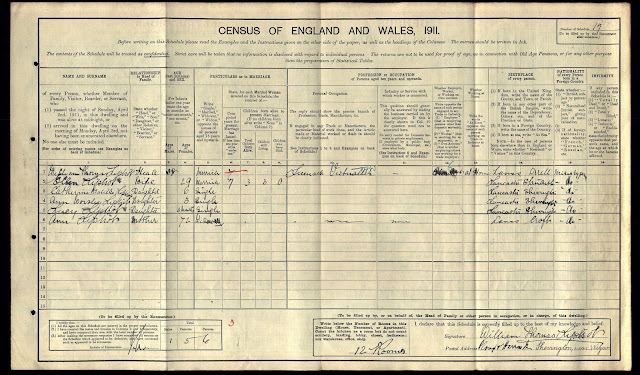 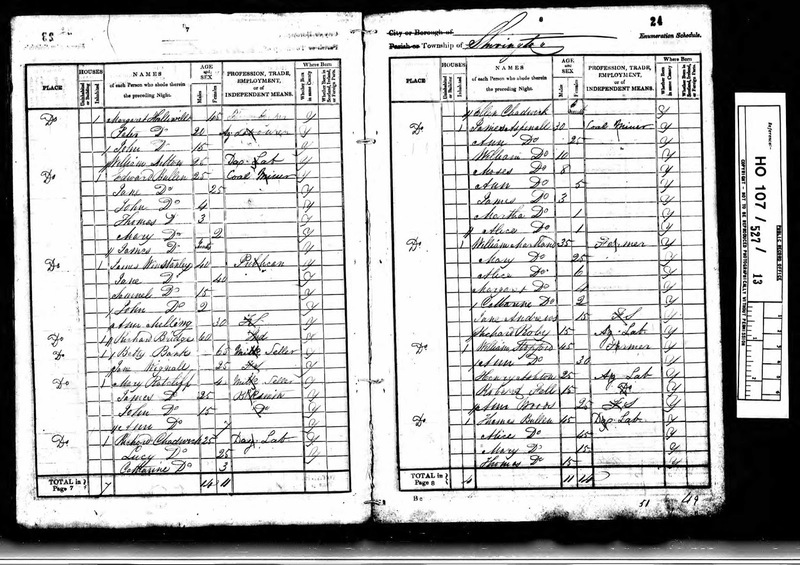 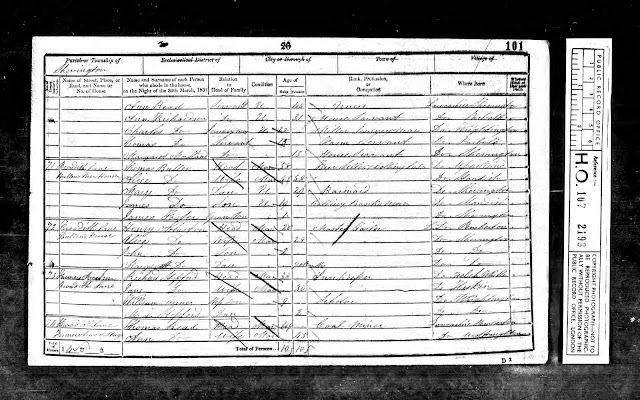 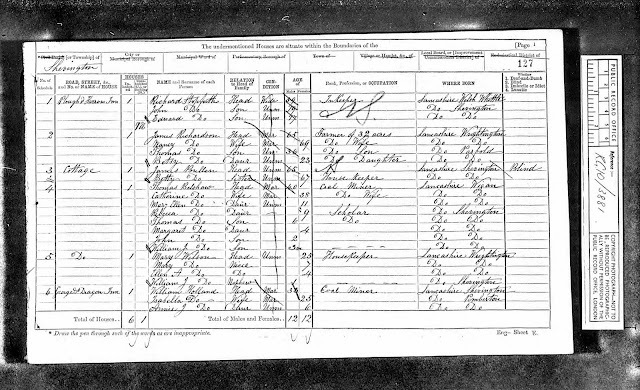 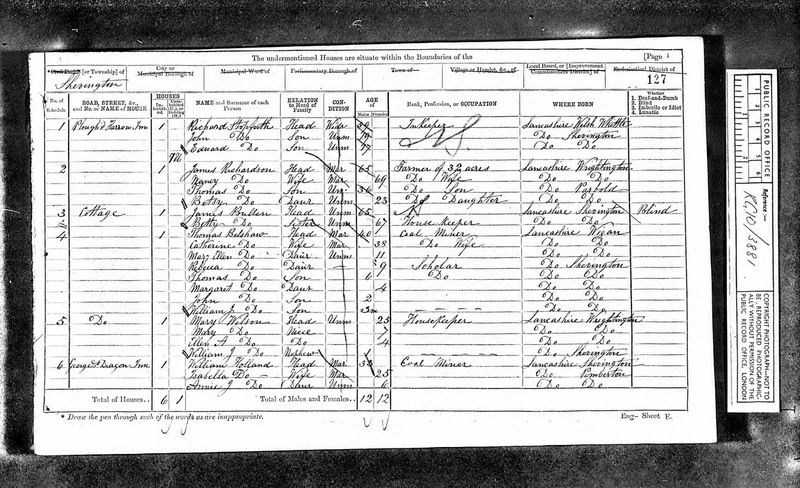 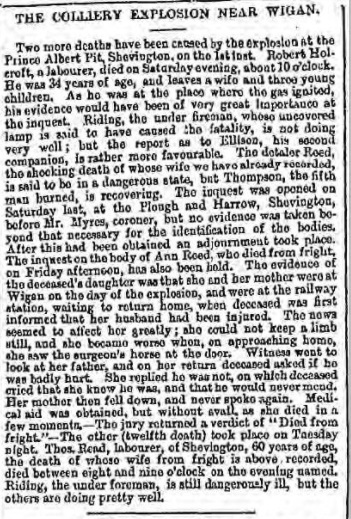 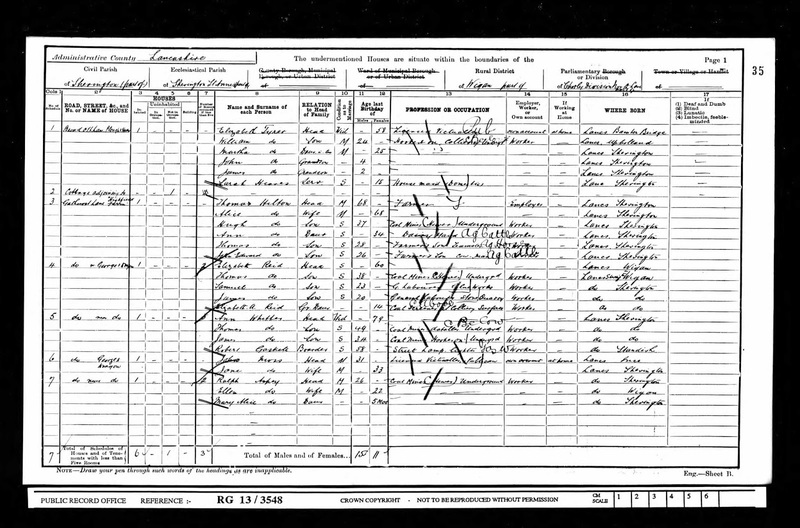 Richard was widowed in 1863 as the burial record below testifies. 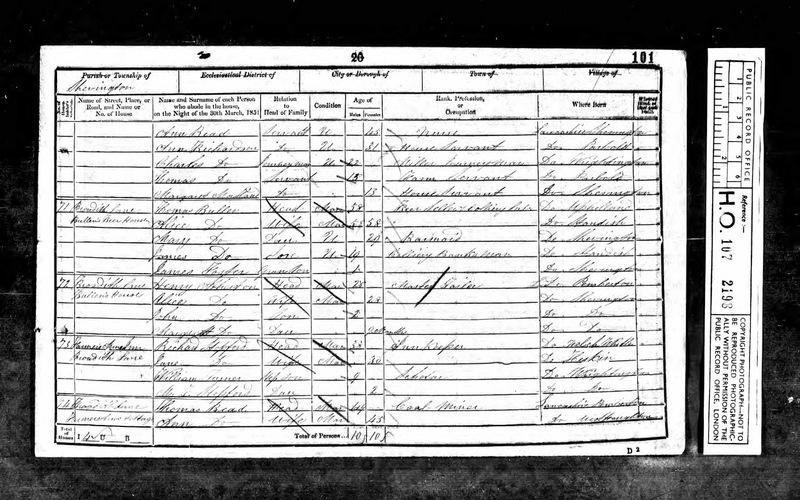 He never remarried and continued to run the Inn with his sons John & Edward until his own death 13 years later. 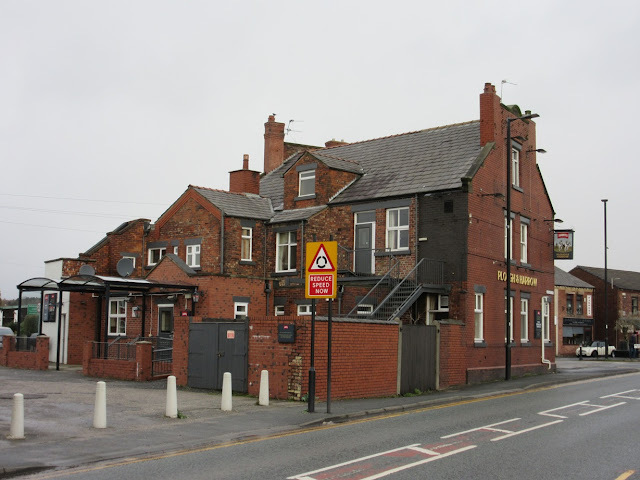 The Tyrers moved in during the late 1870s and were remain there for the next 30 years or so. 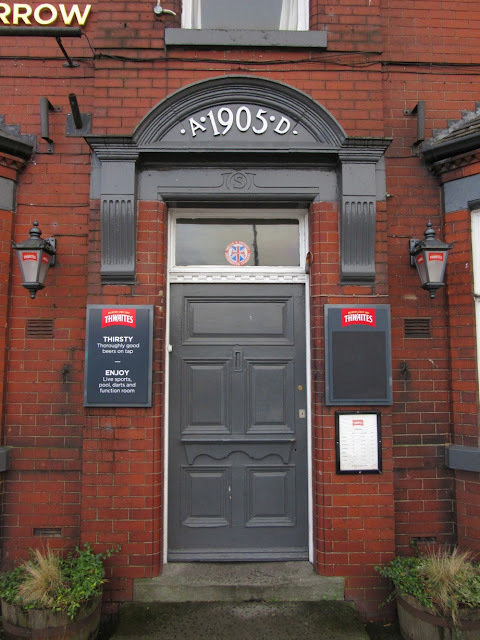 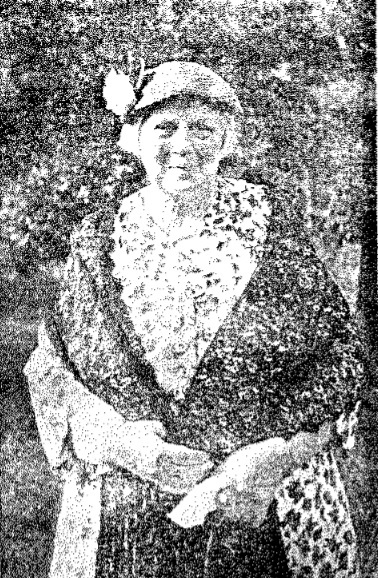 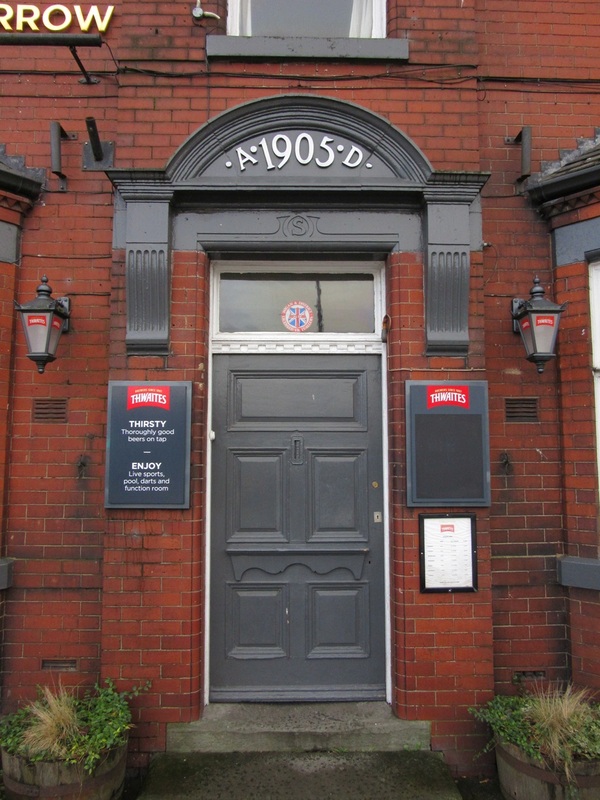 John Tyrer was the licensee initially but his premature death in 1887 left his widow Elizabeth (ka Martha) to continue the business alone, which she did until her death in 1907. 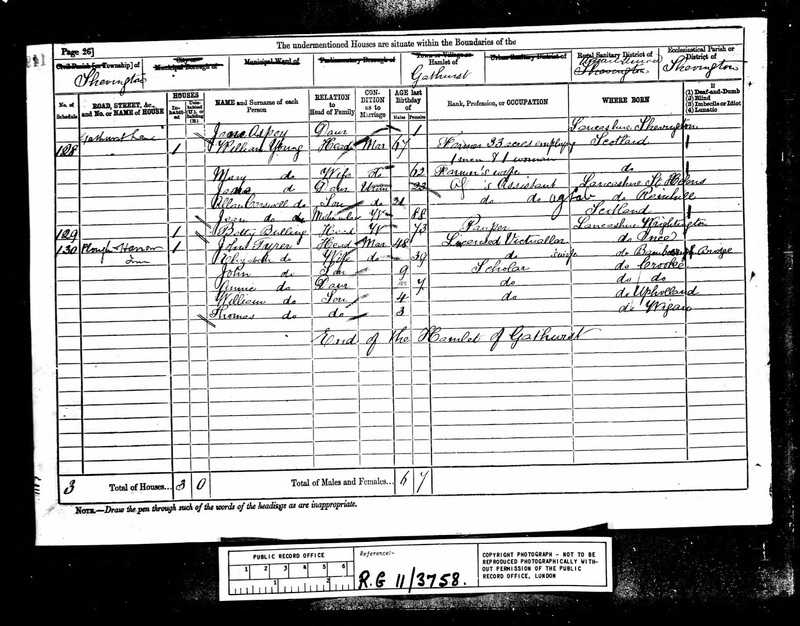 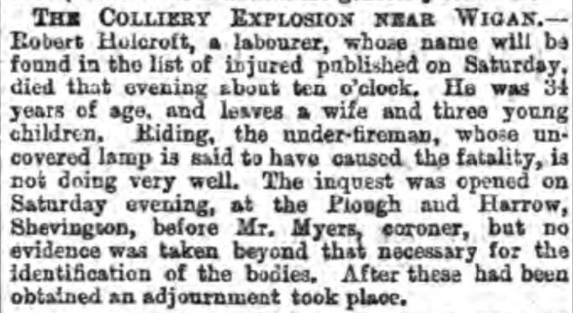 William Tyrer continued the business following his mother's death but this was only short-lived as he died the following year at the tender age of 32 years. By 1911 William Liptrot had taken over behind the bar but like his predecessor he died only a few years into the job leaving widow Ellen to run the business.